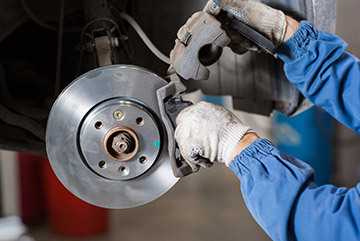 To make sure your vehicle remains safe to drive, you should have your brakes inspected at least once a year. Maintaining your vehicle's brakes is one of the most crucial precautions you can take against dangerous mishaps on the road. Shaking or vibrations during braking. Have your brake fluid examined and switched out as needed. If you find yourself applying a greater amount of fluid month after month, you may have a leak. Make sure you are checking your brake pads often, because if they wear, you might have to replace your rotors as well. Schedule yearly brake inspections. Prolonging brake concerns may lead to other more costly repairs.